In 2017, the Fyre Festival saga emerged to the delight (and horror) of thousands online. Billed as an all-inclusive music festival experience, the now-infamous Fyre Festival ultimately included nothing but deception, delusion, and confusing input from Ja Rule. But yesterday, March 6th, the Fyre Festival promoter pleaded guilty to fraud, and he’s facing a significant fine and up to 10 years in jail. Because we know you’re wondering…the guilty party was not, in fact, Ja Rule, but NYC-based concert promoter Billy McFarland. It makes sense that McFarland would plead guilty. He advertised a “life-changing,” luxurious festival-slash-resort experience on a private Caribbean island, accepted payment for tickets, and didn’t deliver. Like, really didn’t deliver. He basically created a disaster movie from scratch. In addition to fraud, NPR reports that “McFarland also pleaded guilty to lying to an unnamed ticket broker,” to convince the broker to pay “$2 million for a block of advance tickets” for future Fyre Festivals. Obviously, those will not be taking place. Bloomberg announced that on top of everything else, “McFarland and Fyre Media face more than a dozen civil suits and an ongoing bankruptcy liquidation of the company, as investors and ticket buyers try to recover some of their losses.” Which is to say, he’s being hella sued by everyone who wants their money back. 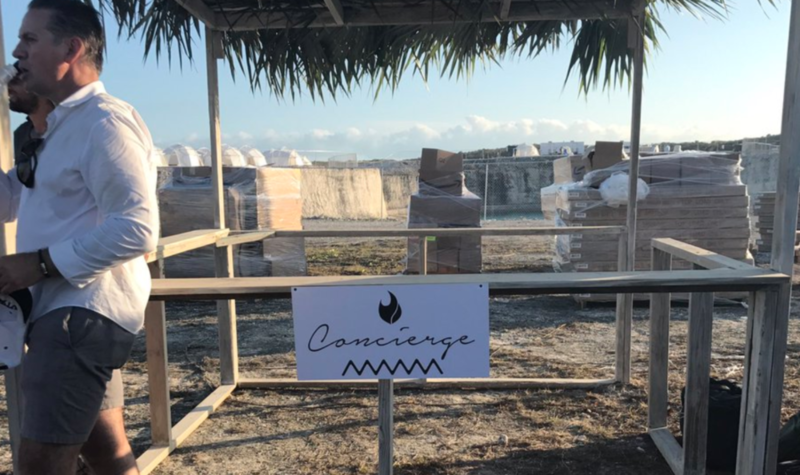 Conditions at Fyre Festival were reportedly frightening from the moment it began. As soon as attendees arrived on the island, there were few places to stay and a lack of basic resources (including water and bathrooms), which many detailed on Twitter. To make matters worse, they were basically unable to reach the festival’s founders, McFarland included. Performers began to pull out before even arriving to the event. People felt duped, and rightfully so! Twitter users couldn’t help but joke about the mess, but would-be concert-goers were freaked out. No power, no performers, “catered” cheese sandwiches, and a storm on the way? How did this happen? Billy McFarland is how it happened. And a lot of savvy Instagram promotion. For now, though, justice has been served in a styrofoam container with a single slice of tomato on the side. Sorry, we had to.